Can we have a minute of silence for Saturn? 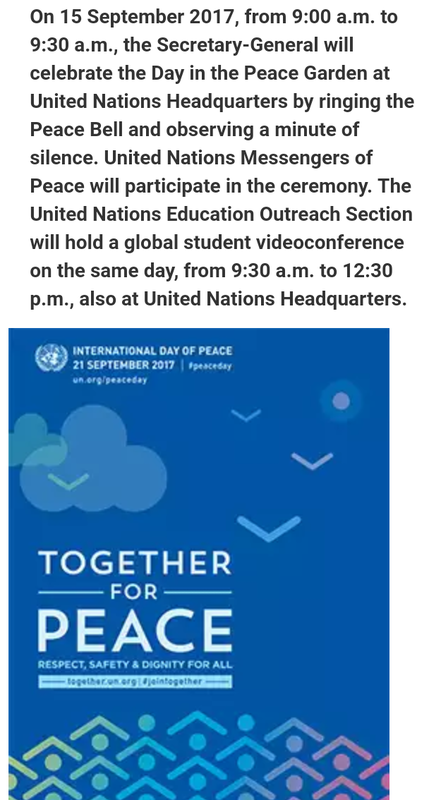 I have mentioned the United Nations ‘Together For Peace’ that happens on September 21st. This falls on the first day of 5778 on the Jewish calender. But I never mentioned the ceremony that happens 5 days earlier (9/15/17) in New York at the Peace Garden. The Peace Bell will be rung and they will have a minute of peace. This happens from 9:00 – 9:30 in the morning. 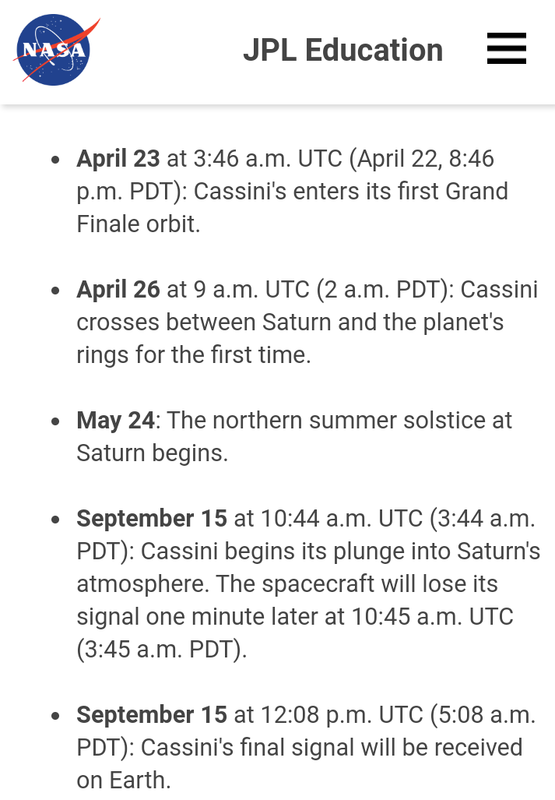 What I didn’t realize was that a few hours earlier Cassini will plunge into the abyss of Saturns North Pole. And one hour earlier Cassini will lose all signals with NASA. This happens right before this minute of silence at the Peace Gardens. I’m not saying this has anything to do with the other but it is a big coincidence. 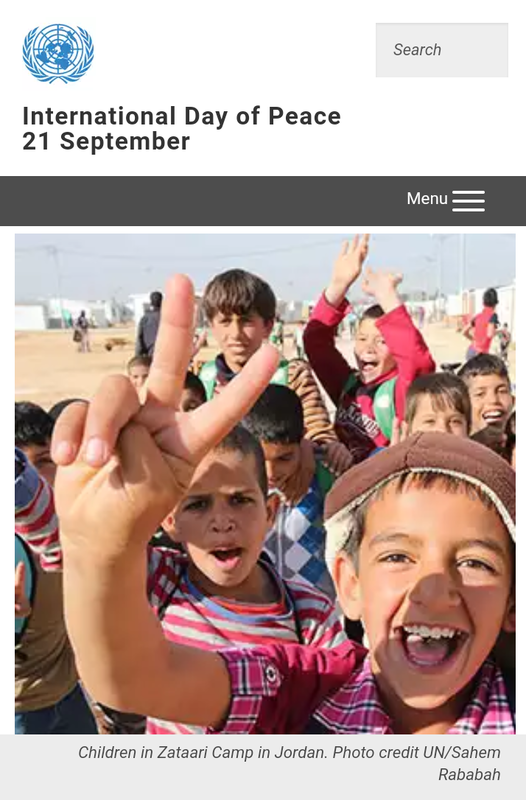 I also thought it was interesting that out of all the pictures they could use, the UN is using a picture for this peace day of Syrian kids in a Jordanian camp. For those who have read my other papers knows how I feel about Jordan.